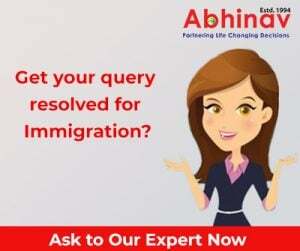 Since ages, in search of better livelihood and quality lifestyle, many people from across the world have taken the route of immigration, and moved abroad to some of the hot immigration destinations, like Canada, the UK, Hong Kong, etc. A significant number of the migrants happen to be skilled, perhaps, because such people are rather preferred, and their visa-petitions fast-tracked by the concerned immigration organizations; in the case of Canada, the Citizenship and Immigration Canada (CIC). Also known as the ‘Land of Milk and Honey’, Canada has always welcomed qualified specialists, such as Audiologists & Speech Language Pathologists, for instance, and offered them the prized and the much sought after Permanent Residence (PR) status. Talking of these experts, as per some reports, currently these professionals are ‘officially’ wanted in the country. Given this, if you are a one of the trained Audiologists & Speech Language Pathologists, and want to migrate to Canada, then you are advised to kick-start the visa and application process, without any delays. You are welcome in the country as the demand for professionals like you at the present is rather high across Canada. Your line-of-work is mentioned on various skilled lists under the Code 3141. These experts are accountable to investigate, weigh-up, diagnose and treat human communication disorders, and this comprises hearing, speech, voice disorders, and language. The services of these experts, by and large, are required in both public and private hospitals, community & public health centers, clinics, and rehabilitation centers, not to mention educational establishments. They may also offer their professional services on a freelance basis. Oversee tests such as audiometric and examine to diagnose or weigh-up the kind of patients hearing impairment. Plan and execute rehabilitation schemes for the patients. Administer made-to-order care plans for member working in the interdisciplinary team. Carry-out research associated with hearing injury and guide students and other healthcare personnel. Direct tests and examinations and observe patients to diagnose and weigh-up speech, language, voice, resonance, cognitive-linguistic and swallowing problems. Plan and execute corrective schemes to correct speech, language and voice issues. Set-up group and made-to-order care plans working as a member of an interdisciplinary team. Carry-out research on speech and other communication disorders and on the development and design of diagnostic processes and devices. Train students and other healthcare employees. A post-graduation degree in Audiology and for Speech-language Pathologists a similar degree in the Speech-language Pathology from an accepted establishment is compulsory. It is obligatory for both experts to register themselves with a regulatory organization. They may also be required to obtain a membership of the Canadian Association of the Speech-Language Pathologists and Audiologists in some jurisdictions. Audiologists may also be required to get hold of a separate license to hand-out hearing aids. The demand of such experts is high some specific areas, like New Brunswick, Quebec, Ontario, Manitoba, and Saskatchewan. The latest migration statistics reveals that the prospects of these professionals are high as compared to any other developed country. Looking at the present scenario, some trade analysts predict that the demand for these experts will further grow in future. Further, a large number of these practitioners have retired from their current post and the state authorities are looking for efficient professionals to fill the vacant seats. Hence, if your qualifications match the ones given under the Code 3141, you would do well to seriously mull over Canada immigration. Let your expertise help you shine on the global map even as you enjoy the best that arguably the best immigration hotspot has to offer, in terms of pay-packages and living standards, besides healthcare and educational facilities, among others.